No word on when MotoMaker will give you the option to purchase a phone, but we’d imagine it can’t be long. This is one of, if not the, most important selling features of the phone. After an initial test run over the last week that included press and friends and family of Motorola employees, I’d imagine that some tweaks are in store to get the service ready for a mass rollout. 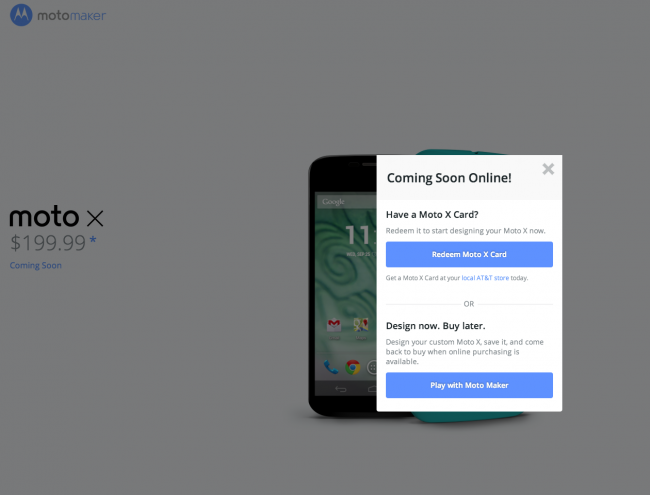 We should point out that there is an option to “Redeem Moto X Card.” Those can be purchased at AT&T stores, so there is still a chance that you could custom design a Moto X today, and purchase it. 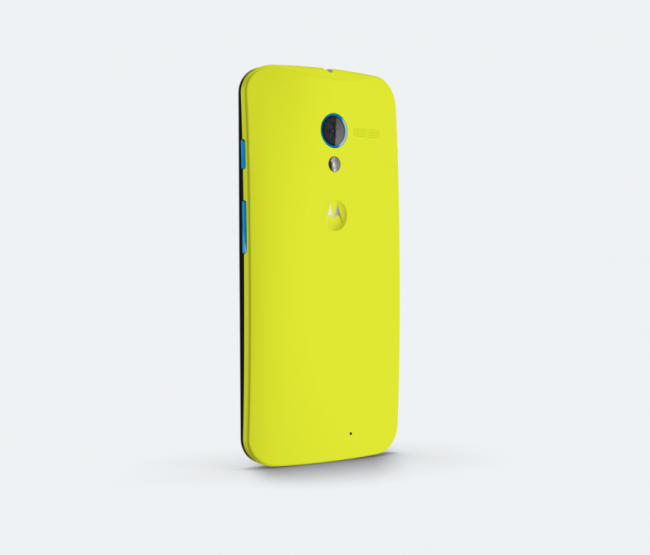 So as we mentioned last night, feel free to stop by an AT&T store, check out the colors, and if you decide this is the phone for you, buy a Moto X card on the spot, return home, and order. For now, head over to MotoMaker through the link below, create some phones, and share them in the comments. I’m dying to see what kinds of designs you can come up with.